Has EA Been Caught Stealing Designs From a Tabletop Game? EA Phenomic's upcoming "social" take on Command & Conquer, Tiberium Alliances, hasn't gathered much good press. Probably because it looks about as enjoyable as punching yourself unconscious. It might be in line for a little more bad press, though, given the similarity between some of its unit designs and those found in tabletop war game Warhammer 40k. Now, designs looking like other designs is nothing new. It's how art works, even in video games. Inspiration and homage are everywhere. Just look at how strongly StarCraft was influenced by, again, Warhammer 40K. But what EA is being accused of here isn't inspiration, it's straight up theft. This has nothing to do with Starcraft the game and everything to do with Starcraft the universe. In question are two unit designs for the game's "Forgotten" faction, the Bombard and Grinder tanks. 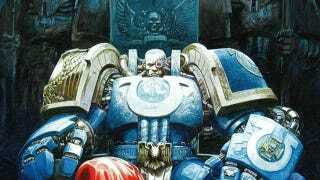 Eagle-eyed Warhammer fans have noticed that they're not just similar to vehicles introduced to the tabletop series over fifteen years ago (and to which rival publishers THQ own the video game rights). They're almost identical. Below are the units compared with their Warhammer counterparts, the relatively obscure Ork Bonecruncha and the not-at-all obscure Imperial Guard Baneblade. While you could make the argument that the game isn't technically "out" yet, and thus EA has time to change the offending designs, it has been in "open beta" for nearly a month now, so in many ways the damage has been already done. We've contacted EA for comment, and will update if we hear back.